Learn more about the Attraqt X Salesforce Commerce Cloud partnership. About: For the last 15 years Liz has worked extensively across both the retail and information technology & services industries. As Head of Strategic Alliances for Attraqt, Liz works closely with some of the largest global eCommerce platforms and technology partners, utilizing these relationships to offer retailers and their customers the best online experience. I can spend a lot of time in my favorite store. There is always so much to see and discover and I usually emerge having purchased far more than I intended to, thanks to the clever and enticing ways products have been displayed. 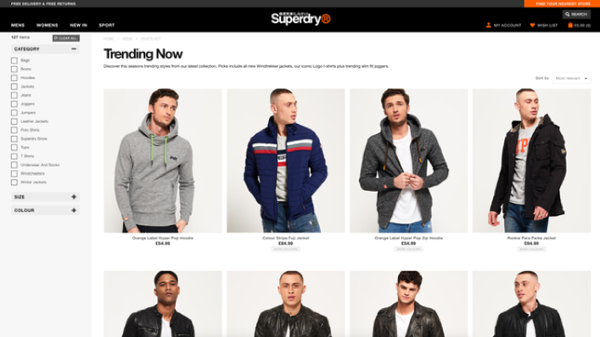 The challenge in eCommerce is to emulate this browsing experience online and skilfully guide shoppers to the items on your digital shelves that you most want them to see. After all, good merchandising choices lead to higher conversion rates, larger orders and overall sales revenue. To support retailers in doing this, Attraqt has partnered with Salesforce Commerce Cloud to develop a cartridge, allowing retailers to easily integrate Attraqt into their Commerce Cloud eCommerce site. This means that eCommerce teams are able to utilize a range of business strategies from full or human-guided automation to having complete control over their online retail merchandising. Designed around industry best practice and an intricate knowledge of Salesforce Commerce Cloud, Attraqt Freestyle Merchandising offers retailers best-of-breed merchandising capabilities that will improve team efficiency and drive conversions. With the technology in place, there are a number of ways to make your online merchandising even more effective. Using solutions that will trigger content based on targeted marketing, business or merchandising strategies - such as sales, page views or a particular promotion - is a highly effective way of surfacing relevant content and making it consistent across categories, regions or countries. Your online shop isn't just a place to sell products, but a channel for creating a rich customer experience. Using algorithms, you can set the mood and strengthen your brand presence by strategically placing banners, navigation, text and redirects too. With core merchandising controlled and structured, your eCommerce team is free to work on the fine tuning, knowing your brand and strategy are clearly managed. Automation will only take you so far. Retailers need to be able to manage their merchandising manually too, in order to customize categories and pages and apply different weightings and rankings to the type of strategies they are setting. This human-guided customization is particularly appropriate for those that focus on setting trends. For example on a fashion retailer's site, a particular pair of shoes could feature in a variety of categories, such as 'New In', 'Footwear', 'Trends' and 'Recommendations'. The eCommerce team needs to have the ability to hone in on which category is best at driving sales of this product and adjust its positioning accordingly. Best practice here would be to manually position products on the top couple of pages of the highest traffic and revenue generating categories. The long tail and lower revenue categories can then be left to algorithms. 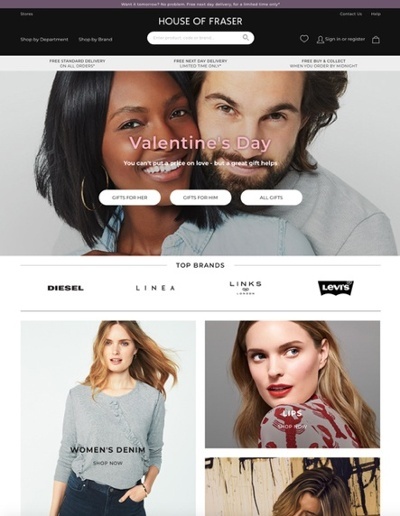 Successful online merchandising is best described as a cocktail - a perfectly blended mix of automation and human-guided customization that tells your brand story and guides the customer clearly through product pages, while influencing and enhancing individual experiences to create the ultimate online shopping trip. It's an ongoing process, and Attraqt's new Salesforce Commerce Cloud Cartridge helps retailers respond quickly to customers' evolving needs. For more about how the Salesforce Commerce Cloud Cartridge can take your merchandising experience to the next level, contact us at SCC@attraqt.com.